We still have plenty of PYO Sundrop available and will have them for the rest of the week. PYO Roxburgh Red should be available from Saturday onwards. 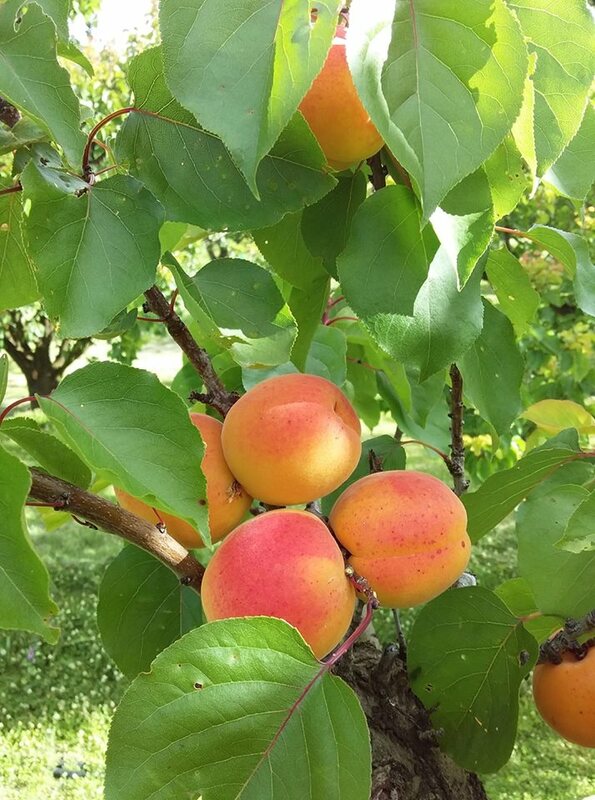 PYO Nectarines are still at least 7-10 days away and Moorpark and Stephen’s Favourite are about 2 weeks away. 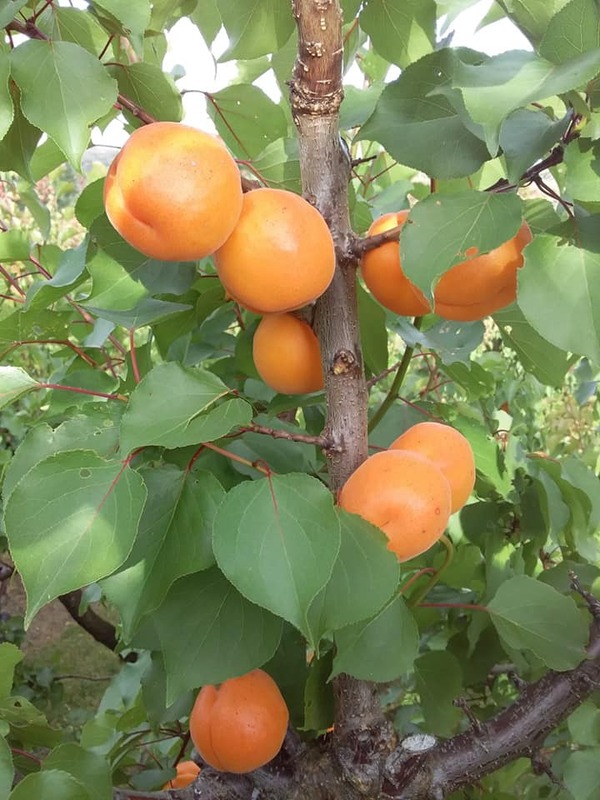 PYO Roxburgh Red apricots will probably start the following weekend. Will keep you posted. There is plenty of boxed fruit always available on the Fruit Stall. 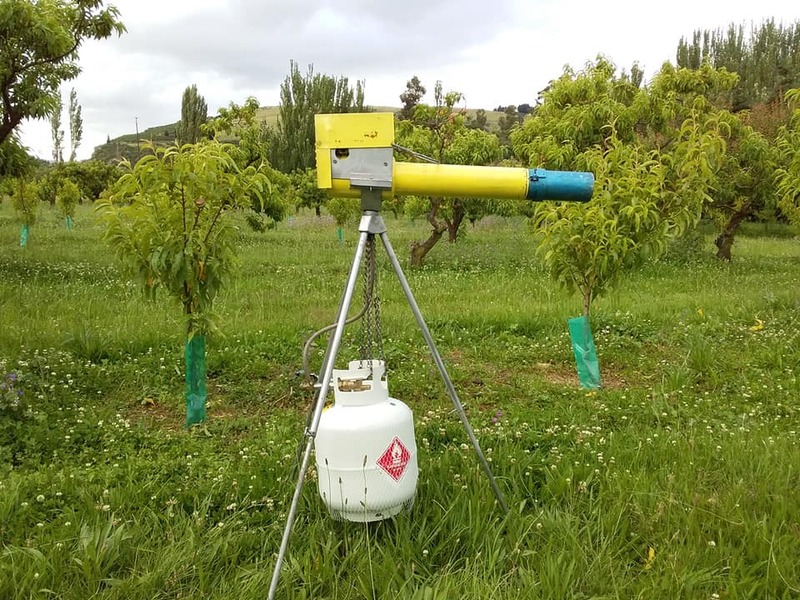 Pleased to report Big Bertha and Captain Jack are working well together in scaring the birds off the fruit. 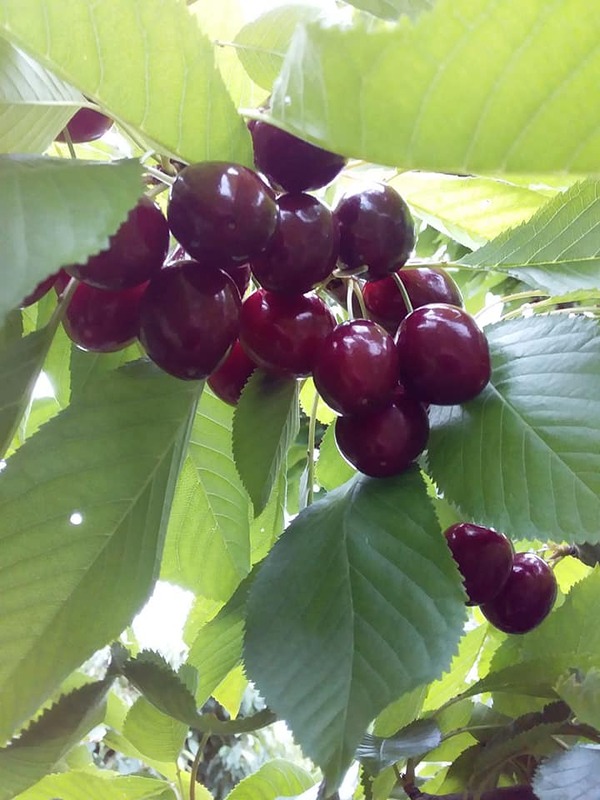 We have finished our cherries for the season but there are still plenty of cherries available at other orchards throughout the Valley. 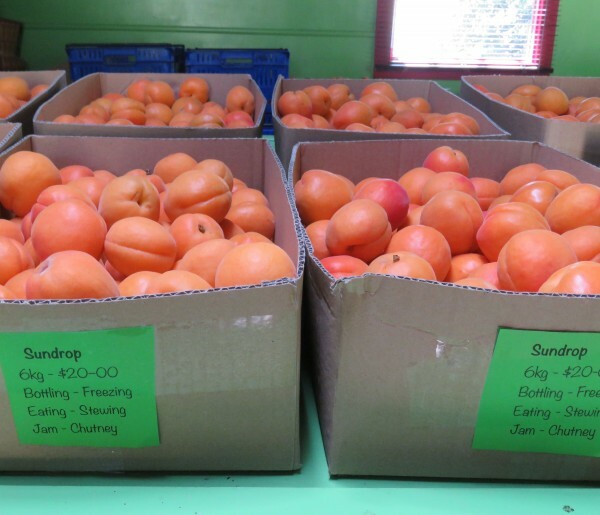 We have plenty of Sundrop apricots available on the Stall in 6kg boxes for $20 and PYO Sundrop are still on track to start this Saturday (January 5). 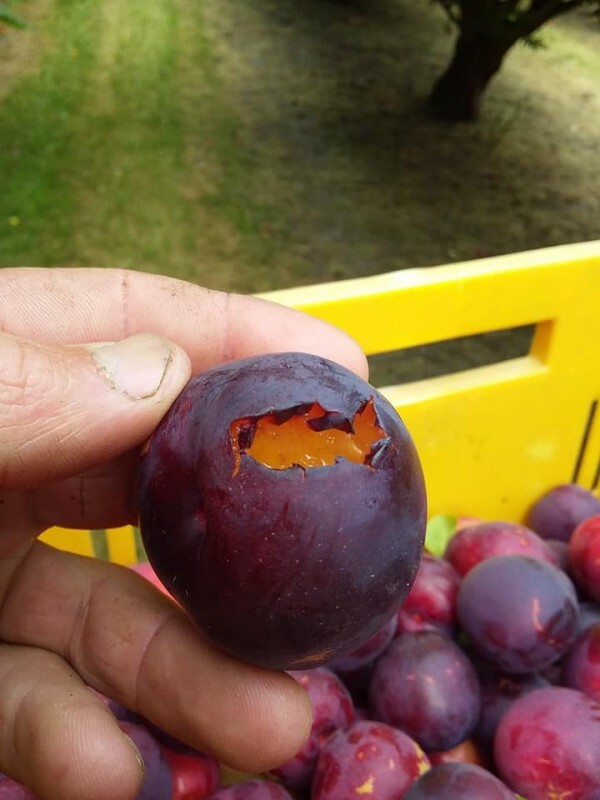 We also have Early Wilson plums on the Stall in 1.5kg bags for $5. New spuds have finished for the season. 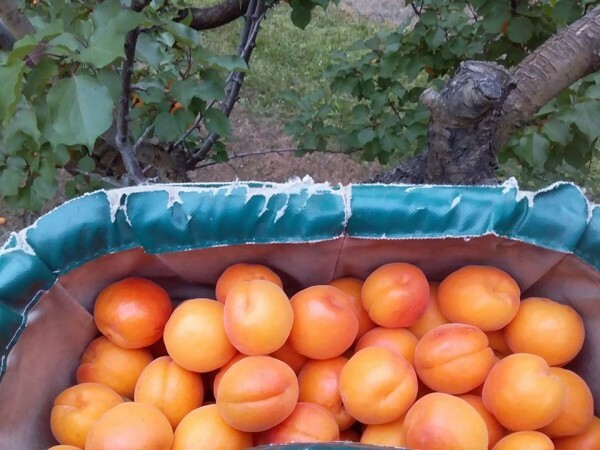 Remember to bring your reusable shopping bags, buckets, fish crates, cardboard boxes etc..
Roxburgh Red, Moorpark, Stevens Favourite, are still to ripen…..as are the nectarines….will post updates when they are ready. Just a reminder guys that we have not started PYO Sundrop yet. 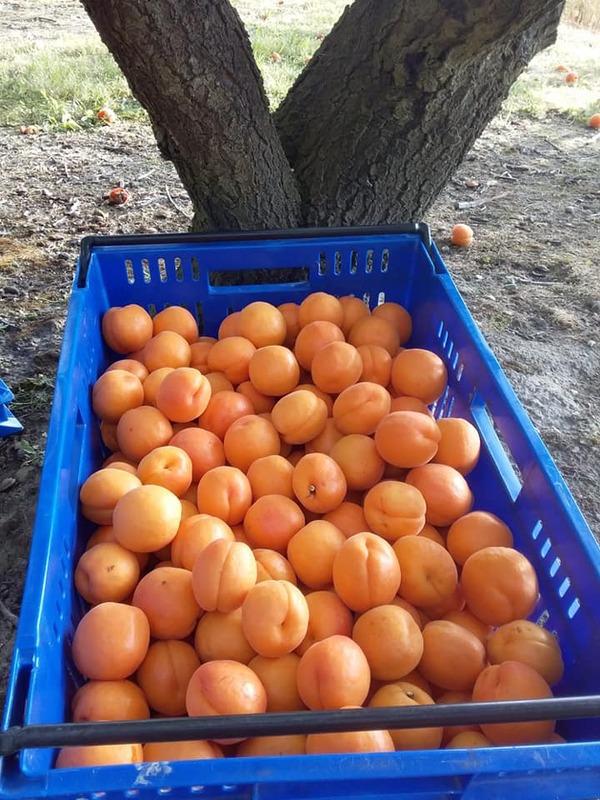 At this stage they are just starting to come on stream so there is enough ripe stuff for me to pick for the Stall but not enough to open up for PYO. 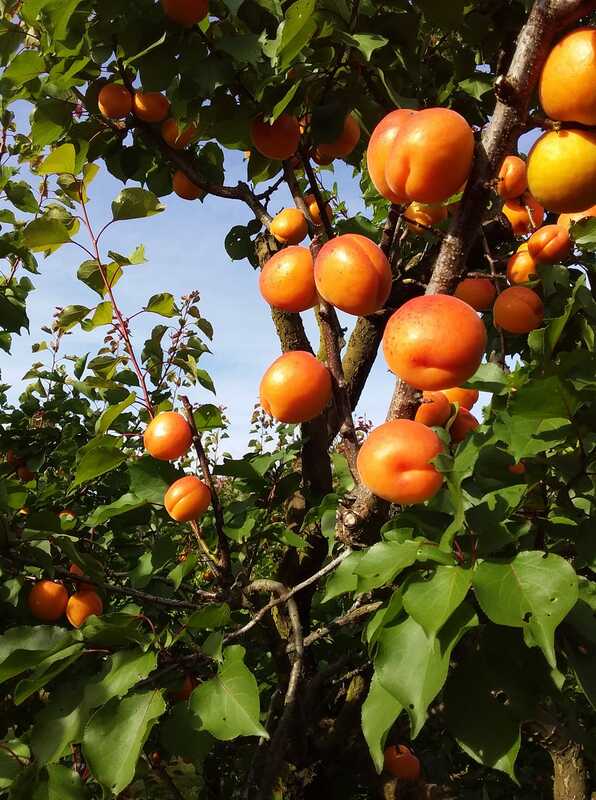 We are also just starting to pick the very first of our Sundrop apricots and will start having some available on the Stall from today onwards. The first day we will be able to send courier orders out will be January 7th. If you would like to order your Sundrop in advance then flick us a message, email us or txt/call Ruby on 027 288 6090 for courier prices in your region. 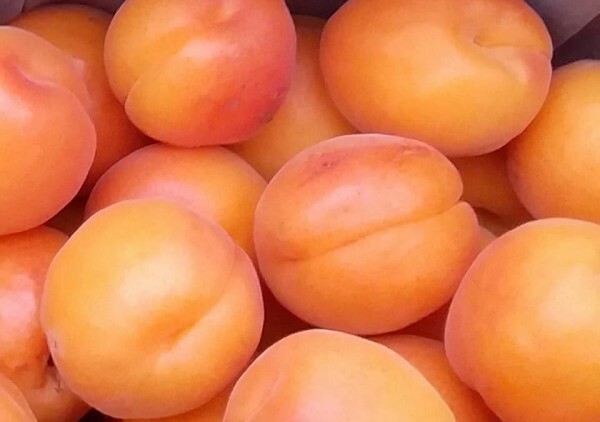 We hope to have the first Sundrop apricots on the Stall this weekend and at this stage PYO Sundrop are looking to be about 10 days away. 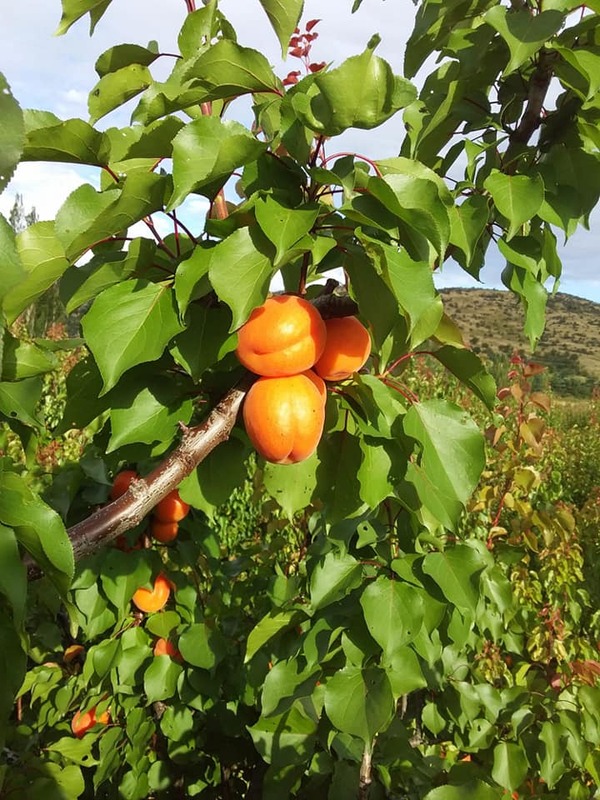 We expect our first apricots to be available from the first week of January and the first of our nectarines should be ready around January 10. 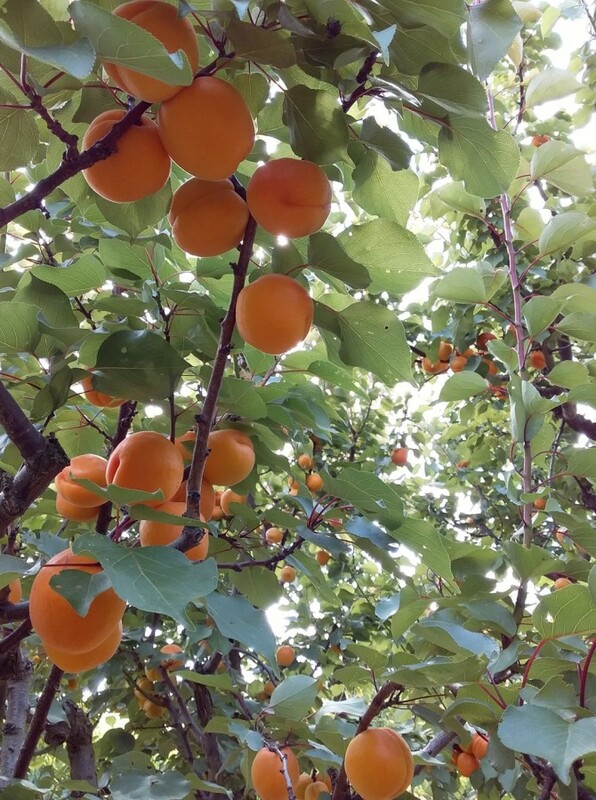 PYO apricots should start around January 10 but will keep you posted if it’s earlier. 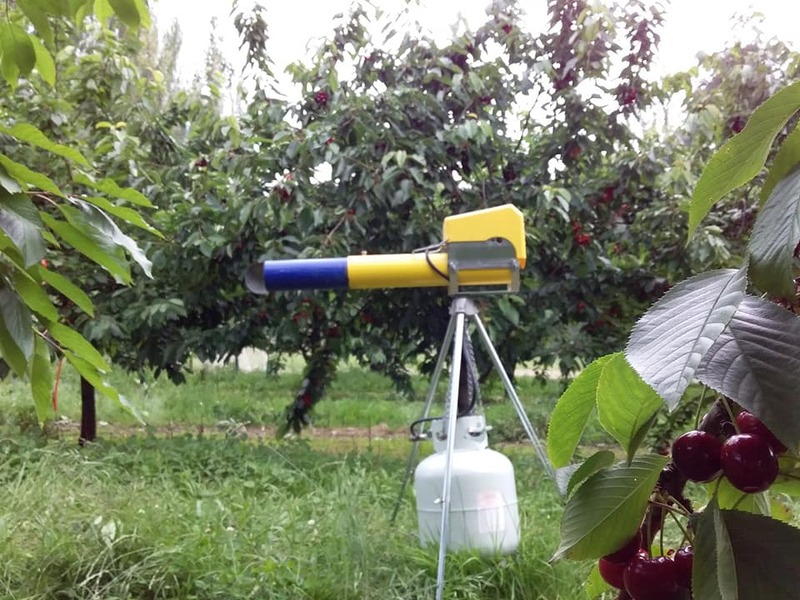 Our nectarine crop has been saved from annihilation at the hands of Starlings thanks to Captain Jack our new birdscarer.